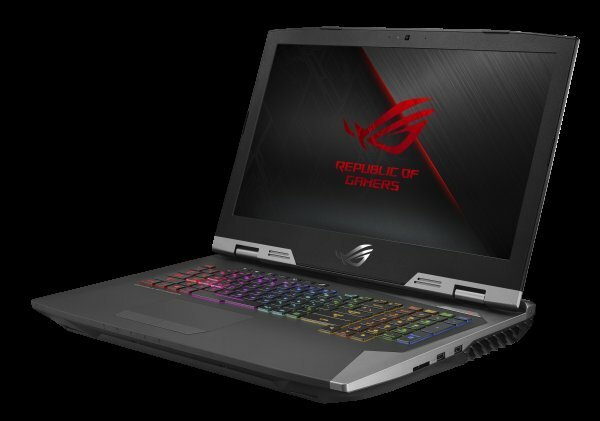 Asus has launched today FX 504 TUF Gaming & ROG G703 Gaming laptops in India which are powered by 8th Gen intel i9 processor. The ROG G703 is packed with Intel Core i9-8950HK processor that has been factory-overclocked for speeds of up to 4.8GHz with is 11% more than base speed. 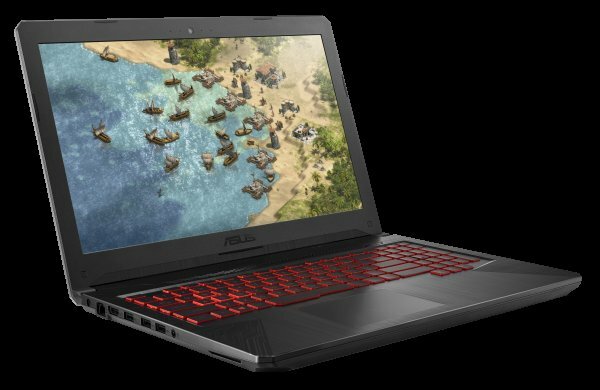 It is powered by the NVIDIA GeForce GTX 1080 graphics and 8GB GDDR5X VRAM at 1974MHz and 10.3GHz respectively. It comes in a 17.3-inch FHD IPS display with 144Hz high refresh rate with 3ms GTG response time that reduces with NVIDIA G-SYNC support to ensures smooth and seamless graphics. The G703 can handle the latest AAA gaming titles at Ultra graphics settings without visual tearing, lag, or any frame rate stutter. This laptop comes with HyperDrive Extreme storage an exclusive technology to combine up to three NVMe PCIe 3.0 x4 SSDs, providing G703 with the world’s fastest RAID 0 storage configuration. The ROG G703 supports Aura Sync technology that lets gamers customize and sync up light effects with Aura Sync-supported gaming mice, headsets, and other peripherals to create a gaming setup. The ROG G703 is priced Rs. 4,99,990 and will be available from first week of June. The FX504 is powered by the latest 8th Generation Intel Core i7-8750H processor, and features up to NVIDIA GeForce GTX 1050 Ti graphics with full Microsoft DirectX 12 support. It comes in a slim 2.5cm chassis weighing just 2.3kg. It comes with 8GB RAM, 1TB FireCuda SSHD, and 128GB PCIE SSD. The thermal design of FX504 significantly prolongs its lifespan and provides stable cooling during intense gaming marathons as claimed by Asus. The FX504 comes with a 15 inch FHD IPS display with an ultrafast 120Hz refresh rate & 3ms gray-to-gray (GTG) response time along with 130% sRGB color gamut, and wide-view angle. It has a desktop-style gaming keyboard that’s perfectly optimized for extended gaming and typing sessions. Its durable keyboard has a lifespan of 20 million key presses as claimed by Asus. It has a 1.8mm of travel for smooth and tactile keystrokes along with backlit keys with highlighted WASD keys. ASUS TUF Gaming FX504 starts at Rs. 69,990 and goes upto 89,990. It will be available from 3rd week of May.